As a busy Real Estate agent you likely didn’t have time to shop for any Black Friday deals. Luckily, it’s 2017 and we have Cyber Monday! 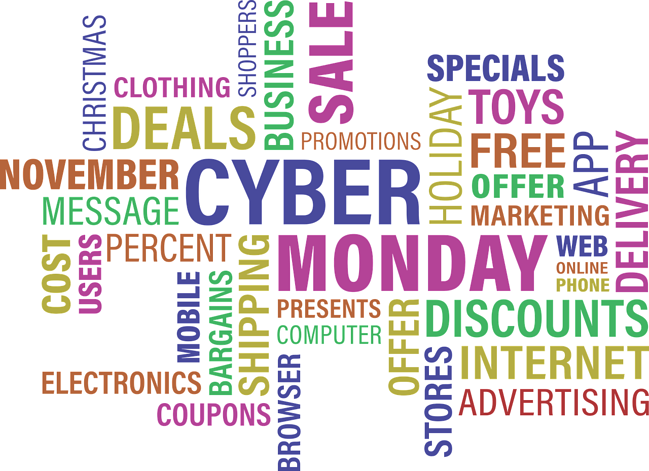 This Cyber Monday we’ll be sharing the best deals for your Real Estate business. Check out our list below to snag some awesome deals for both you, your clients, and your team members. Tablets make great tools for listing presentations and comparative market analysisreports. The add a visual element to your presentation without the hassle of setting up a projector or carrying a lab top. If you are an Apple user and Verizon customer you should take advantage of Verizon’s iPad offer. Anytime you purchase a new iPhone you can also add on a 32 GB iPad for $100. If you would just like the iPad, the 32 GB is just $200. That’s a savings of over $100. To take advantage of Verizon’s offer, click here. If you need a new lab top, take advantage of Amazon’s reduced MacBook Air 13.3 inch. Amazon is reducing prices to make way for the newer MacBook model. To take advantage of Amazon’s offer, click the link here. Real Estate agents are notorious for being on the go. This means things can get messy quickly. One easy way to sort items based on client or agent is through a label maker. Take advantage of Staple’s Cyber Monday deal on the Brother P-Touch PT-D210 Label Maker, click the link here. Every office needs a paper shredder and this one is 50% off. To take advantage of Staple’s 6-Sheet Cross-Cut Shredder for just $24.99, click the link here. This indoor security camera is far from the average. The cloud cam includes night vision, auto home and away settings (which can be set from your phone), and voice integration. Users can create detection zones to focus on areas such as doorways. It’s the perfect closing or holiday gift for past clients. Save $20 and purchase this Cyber Monday for $99.99 by clicking the link here. Save $30 dollars when you purchase this Kuerig and also receive a $20 Target gift card. Single serving coffee makers are ideal for office environments. K-cups allow team members to choose from a variety of tea, coffee, and other beverage flavors while reducing mess. To take advantage of Target’s deal, click the link here. Share with clients Amazon’s Tap. It’s more than the ordinary home speaker. It’s voice enabled, meaning users can choose from multiple stations including Amazon Music, Pandora, iHeartRadio, and Spotify. Save $50 dollars and purchase the Amazon Tap for $79.99. To take advantage of Amazon’s deal, click the link here. For PC users, take advantage of Office Depot’s deal on the Lenovo IdeaCentre Desktop. Save $220 on this PC when you purchase this Monday. To take advantage of this deal, click the link here. Real Estate offices often print legal documents, often print in black and white, making Laser Printers ideal. Save $165 dollars with Office Depot’s HP LaserJet Pro MFP M227fdw Wireless Monochrome All-In-One Printer, Copier, Scanner, and Fax. To take advantage of this deal, click the link here. If you know another agent at your office that is constantly putting miles on their vehicle driving from listing to listing, pay for their next oil change. This is the perfect gift for an office Secret Santa or White Elephant. To take advantage of Staple’s offer, click the link here. Looking for a Cyber Monday deal on seller leads? Zurple generates exclusive Seller Leads in your target markets.This means we never allow another agent to nurture your leads or to purchase your ad space. We run home worth ads on social media and search engine marketing sites to target home sellers in your market. To learn more about Zurple's Seller Lead Program, click the link below.